WOLFSBURG (Reuters) -- In an era of automation, robotics and spotless factory floors, you don't expect to see car workers dragging metal along a production line. But at Volkswagen's main Wolfsburg plant earlier this year, workers had to resort to handing metal sheets to robots working on the e-Golf, according to witnesses. The improvisation came after the electric variant of Europe's best-selling car failed a simulated U.S. crash test. Planners at the 76-year-old plant decided to stiffen the frame of the car. But there was nowhere to put extra robots on the crowded assembly line, they said. The worker-robot dance that ensued is just one sign that all is not well at Europe's biggest carmaker. Relations between management and workers at VW's global headquarters have deteriorated to a low last seen about a decade ago when VW cut about 20,000 jobs in Germany. Operating profit at the core VW brand is under pressure again, tumbling by a third in the first half of this year, due to lower sales, a weak dollar that translated into fewer euros, and spending on technology, including VW's ambitious MQB modular platform. When Volkswagen launched MQB in 2012, the company looked almost unstoppable. The system -- meant to help VW become the biggest carmaker in the world -- is designed to allow VW to build a huge variety of car sizes and shapes on a single production line, increasing flexibility while cutting assembly costs. But as the problems in Wolfsburg show, the platform can cause serious difficulties in the wrong environment. Rather than making it easy to build VW's sprawling array of models, it has caused delays and forced overtime on some assembly lines, say company sources and production staff. The MQB problems have been caused by or have fed -- it depends on who you talk to -- increasingly tense relations between workers and management. Wolfsburg is a bastion of unionized labor. Together, the state of Lower Saxony, which owns a one-fifth of VW's voting shares, and labor leaders have majority control of Volkswagen's supervisory board, the powerful body that appoints and dismisses members of the management. Any important decisions, such as the building or shuttering of plants, need a two-thirds majority on the board. That makes restructuring particularly problematic. CEO Martin Winterkorn has announced cost cuts of 5 billion euros ($6.43 billion), details of which are due this autumn. "We have a lot of catching-up to do with our core competitors. That is why we must now take action that is clear, effective and sometimes painful," Winterkorn told managers at a conference in mid-July. A week later, VW's top labor representative Bernd Osterloh retorted that any such move would be difficult and that "sparks will really fly." In August, angry labor leaders forced VW to dismiss consulting firm McKinsey, which managers had hired to evaluate possible cuts without first consulting staff representatives. Osterloh feared McKinsey would lead VW into another bout of job cuts, according to a source familiar with the matter, instead of reducing r&d spending, which has surged 80 percent since 2010. His rare public attack on management signaled a serious rift in relations between management and labor. A week after Osterloh's outburst, VW production chief Michael Macht resigned. VW will now employ Porsche Consulting, a division of its sports-car unit Porsche, to oversee the brand's efficiency drive, according to two people familiar with the matter. VW and Porsche declined to comment. Wolfsburg can produce about 3,800 vehicles a day, more than any other VW plant in the world. The company will not say how many are actually being built there. But experts estimate the number is slightly more than 2,000, of which two-thirds are Golfs and the rest Tiguan compact SUVs and Touran minivans. Backed by red-hot demand in emerging markets, VW Group, which includes Audi, Skoda, Seat and Bentley, is selling almost 10 million vehicles a year, more than twice the amount when Winterkorn took over seven years ago. Sales have been boosted 81 percent to nearly 200 billion euros. But that growth masks the core VW brand's flagging profitability and troubles in some overseas markets, such as the United States, Brazil and India. The VW brand's profit margin of 2.3 percent is less than half its 6 percent long-term target. "VW's size is turning into a curse," said Stefan Bratzel, head of the Center of Automotive Management think-tank near Cologne. "Costs are beginning to get out of hand, inefficiencies keep growing and troubles are looming into focus around the world." In the past, VW was able to offset high German labor costs with economies of scale. MQB was designed to help with that. VW has said that MQB can reduce material costs by 20 percent, yielding potential annual cost savings of $19 billion by 2019, according to a Morgan Stanley estimate. The number of cars based on the system should quadruple to 4 million by 2016, VW said. "The Volkswagen Group is fully on track with the introduction of the modular production strategy," VW wrote in an email to Reuters. "In total, there is the prospect of more than 40 different group models. So we are just at the beginning of this success story." But ongoing teething problems keep troubling production. One problem: the body shells for the Golf hatchback, which currently has 14 variants. Production has been disrupted at Wolfsburg because versions such as the electric e-Golf and the Sportsvan require different underbody fittings from the base model, sources said. VW suspended production of e-Golf models in August for fear that hundreds of holiday staffers, filling in for trained workers during the three-week summer vacation period, would struggle to cope, company sources said. Additionally, a faulty Internet wireless network at Wolfsburg has caused robots to malfunction, the sources said. One worker at the plant said that too many automatic attempts by employees' mobile phones to access the network overwhelm it. Other problems include a tendency of the system to stop if overheated in the summer. Resulting delays, together with bad maintenance and other flaws, are likely to cause output at VW's key factory to remain below a planned target of almost 850,000 cars, company sources said. VW's problems underscore a challenge faced by all German automakers. "Carmakers once thought that automation could rescue Germany as a location of industry," Mercedes-Benz production chief Markus Schaefer told Reuters. "But with an individualized product like what we're offering, automation is hitting its limits." Schaefer believes car plants should not exceed about 400,000 units a year. At Wolfsburg, VW is trying to build more than twice as many. The power of VW's unions is another hurdle. The works council, the body granting workers a say in corporate decisions, upped the ante recently by refusing to work some of the Sunday shifts that had been agreed for the third quarter, saying there was no point in working extra shifts when technical problems were continually causing delays and production outages. Many managers remember the fate of former VW CEO Bernd Pischetsrieder and VW brand chief Wolfgang Bernhard, who were forced out after labor rebellions put an end to a previous cost-cutting drive in 2007. The power of labor leaders to get rid of management at that time derived from a deal struck more than a decade earlier, in 1994, when the company gave job guarantees and promised further investment in German plants in exchange for pay cuts and extended working hours -- a deal that at the time ensured VW's survival. Twenty years later, that means it is labor leaders at Wolfsburg who will largely determine the shape of cost cuts. 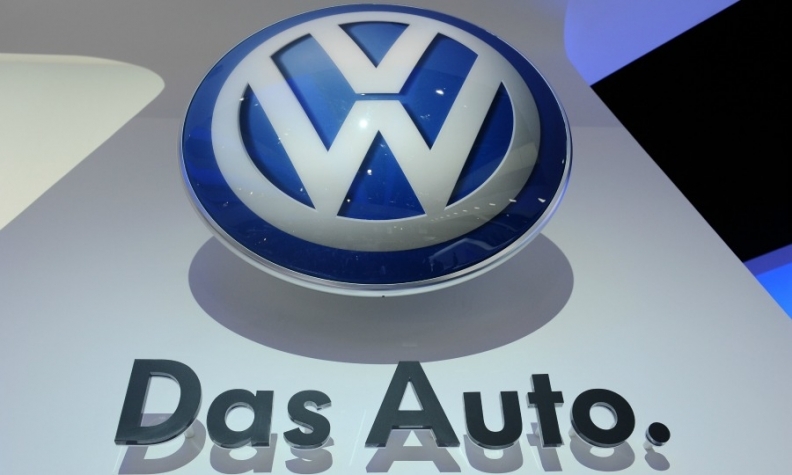 VW managers in other regions have begun openly blaming Wolfsburg for the brand's problems. VW's U.S. chief, Michael Horn, said in January that changes were needed in Wolfsburg. An industry source said productivity at Wolfsburg is between 20 percent and 35 percent behind that of its premium brand Audi's flagship Ingolstadt plant. Audi's Finance Chief Axel Strotbek declined to comment on the gap, but said Audi had experience with an earlier modular construction platform and so had a headstart. VW also declined to comment on the productivity gap and said it's on course to solving the problems at Wolfsburg. Workers, though, are bracing for more headaches. Yet another Golf variant, a performance-focused plug-in hybrid model called the GTE, has been added to the crowded assembly lines this summer. Production of the Tiguan and Touran models will be switched to MQB next year. "Within such a big organization, it's fair to say that some people were made complacent by years of good results," one company official said. "The more turbulent times are back."